The 2016 growing season was near perfect, with slightly more heat than its preceding vintage. The incredible growing conditions, coupled with lower crop, size yielded wines with succinct fruit and incredible focus. 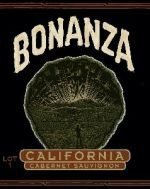 High-toned berry fruit jumps out of the glass of the 2016 Dry Creek Valley Zinfandel. Notes of cinnamon, baking spice and espresso bean add complexity to the hedonistic fruit. 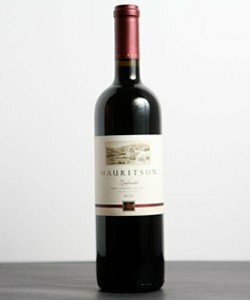 The entry is soft and lush, exhibiting flavors of rich oak and blackberry cobbler. The mouthfeel is seamless from start to finish, indicative of the perfectly integrated tannin and acid. Please enjoy this wine for the next 5-7 years. 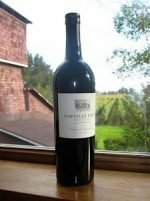 Categories: Country - United States, Region - California, Red - Zinfandel. 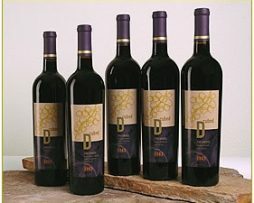 The D-cubed Cellars Napa Valley Zinfandel has complex aromas of ripe cherries, strawberries and hints of cinnamon licorice and wild mushrooms. The med full body and supple tannins allow the flavors of cherries, berries spice and hints of oak to carry through the very long finish. A zesty blend from our three mountain vineyards at 1000 to 1700 ft overlooking Chiles Canyon. Dark cherry and raspberry flavors with tinges of bay leaf and clove. Accompanies wood grilled vegetables and marbled meats.